Last weekend Josh, myself and our friend Ali drove up to Dovecote Farm and Buttery in Northamptonshire. I had a glorious plan to pick armfuls of gooseberries, then go home and make jam – I’d even bought a huge pot specially – but on arrival we were told the gooseberries weren’t ready for picking yet. 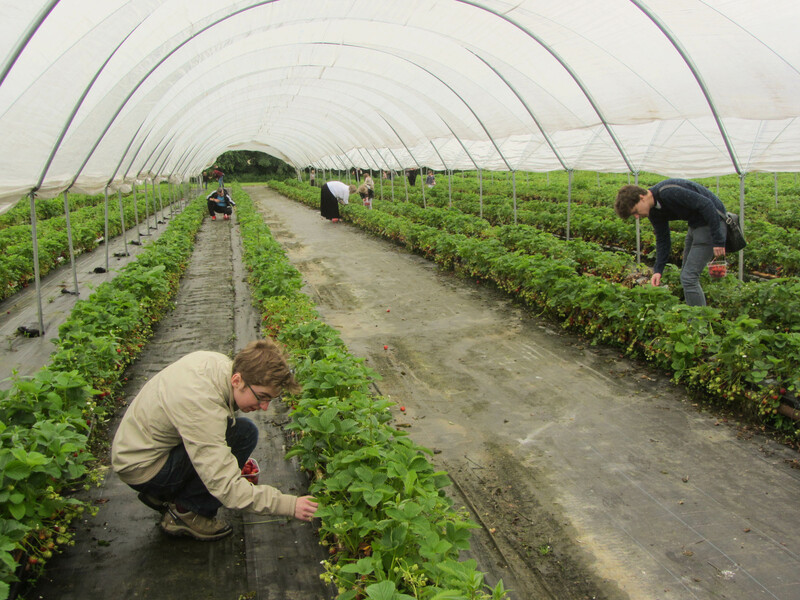 I was disappointed, but quickly consoled by the rows of PYO strawberries. We each filled a punnet, then carried our fruit up to the counter to be weighed. 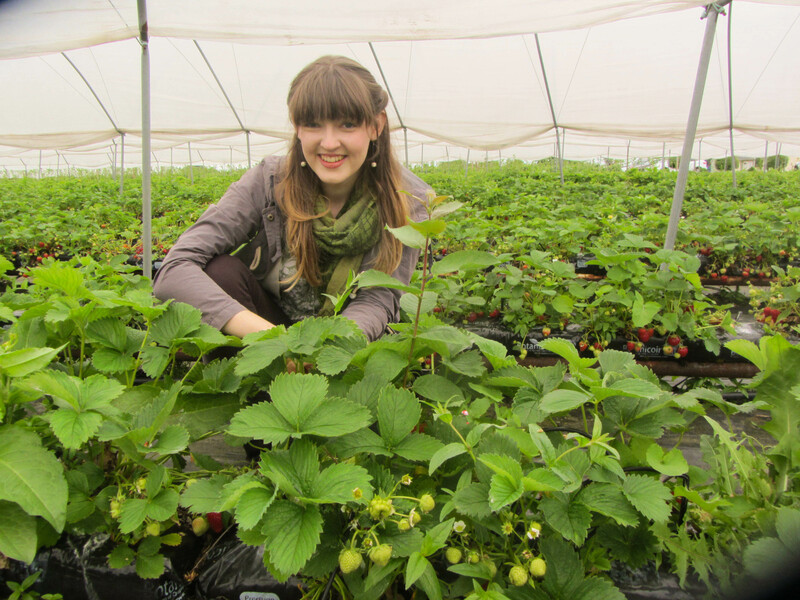 Though it’s true it would have been cheaper to just buy a punnet from the shop, the fun and satisfaction of picking our own made the price difference worthwhile. First on my list to make with them was this dish – I ate something similar last year in Morito, and was dying to recreate it. I was so pleased with the result: the textures, temperatures and flavours marry and contrast so beautifully; it feels like a dance for your tastebuds. I made it to accompany a roasted vegetable tart, but it would be great as a summer starter, too. 1. Begin by preheating your oven to 200°C. 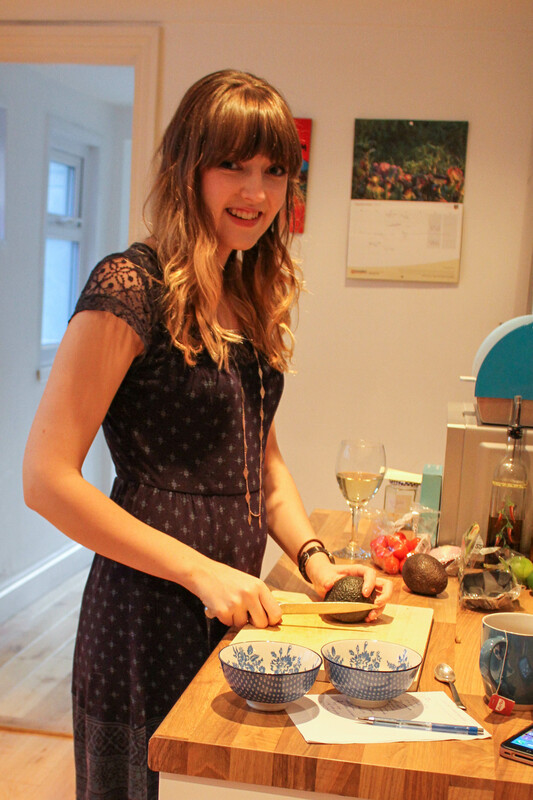 Wash and hull the strawberries, then place on a rimmed baking tray with a few dots of coconut oil. Roast for 15-20 minutes, until the strawberries are beginning to darken and the juices are thickening. 2. Meanwhile, make the whipped feta. Crumble the feta into a bowl and spoon over the yoghurt or cream, then use a hand or electric whisk to whip until the cheese has completely broken up and the mixture becomes creamy. If you prefer, you can also do this in a food processor. 3. 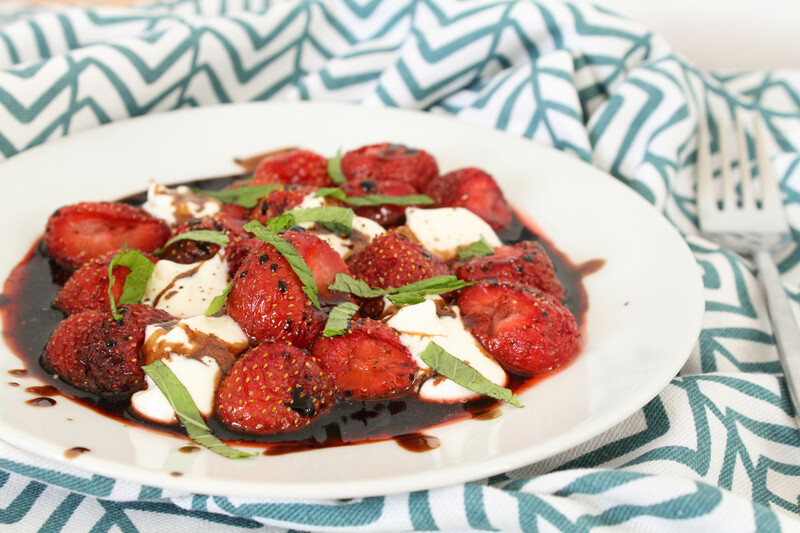 Transfer the strawberries to a plate, then dot about the whipped feta, drizzle over the balsamic and finish with a scattering of mint leaves and a few twists of black pepper. 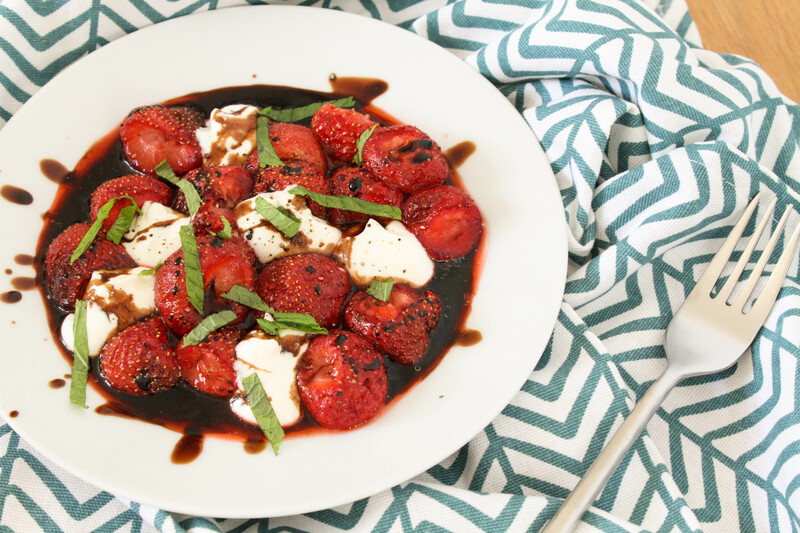 Tip: if you don’t have balsamic glaze, you can make your own by simmering balsamic vinegar in a saucepan until reduced by half.